Let's get you started right away because there is not a lot of time left. Request a demo now. We are dedicated to providing you with relevant articles and newsletters covering the evolving eLearning, learning management, and social learning landscape so you have the information you need to stay current. Enjoy this edition of the TOPYX Topics Newsletter. What type of training model does your business use? If you’re still conducting in-person training, there’s a good chance your employees are not digesting the information being presented to them. Why would they? In-person training is, for the most part, difficult for both trainers and trainees to engage with. A business organization tends to thrive on systematic processes, whereas its employees desire to accomplish unique and purposeful tasks that give them a sense of meaning. As a result of the impersonal needs of a business, employees often feel like cogs in a machine, which lowers their overall productivity and squelches their creativity. Have you observed this within your own business? 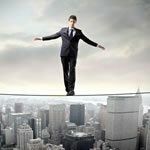 What do you think work-life balance is? 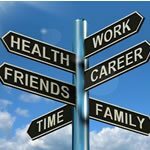 Although there are many definitions, for the sake of clarity, let’s assume that work-life balance means having a successful career as well as a full personal life that includes time for one’s self and family.